LG has revealed when its latest flagship smartphone, the G4, will go on sale - and it's not even officially announced the handset yet. Writing on its Korean blog, it confirmed the LG G4 release date will be April 29 (in Korea at least), just a day after the official launch of the handset on April 28. Other regions will have to wait for launch day to find out when they'll get their hands on the G4. 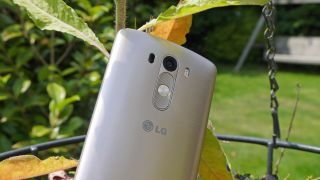 The same post also appears to confirm the LG G4 will pack a 16MP camera on its rear - up from the 13MP sensor on the back of the G3 - which is in line with a host of rumours surrounding the handset. There's a mention of the front facing camera too, which is said to be rated at 8MP - so expect some focus on selfies during the launch event. Current reports suggest the LG G4 will also sport a 5.5-inch QHD display, Snapdragon 810 processor, 3GB of RAM, microSD slot and a leather body. We'll be reporting live from LG's April 28 event to bring you all the latest on the G4 as it's announced.